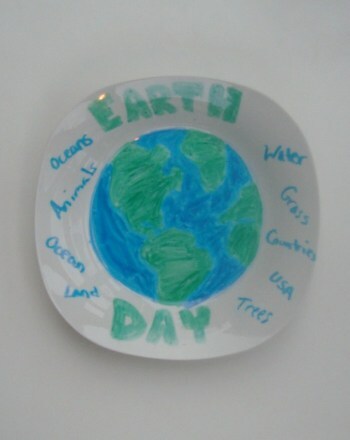 Every time there's an earth rotation, or a different cosmic event takes place, Tim wears a certain item of clothing. 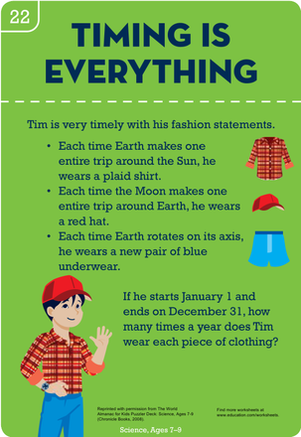 To find out how many times Tim wears his red hat, your child will have to solve this word problem about the earth moving around the sun. 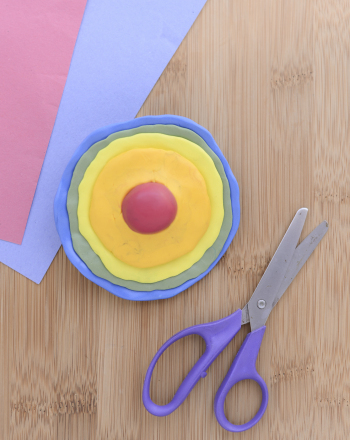 Learn about the layers of the Earth and make a model! 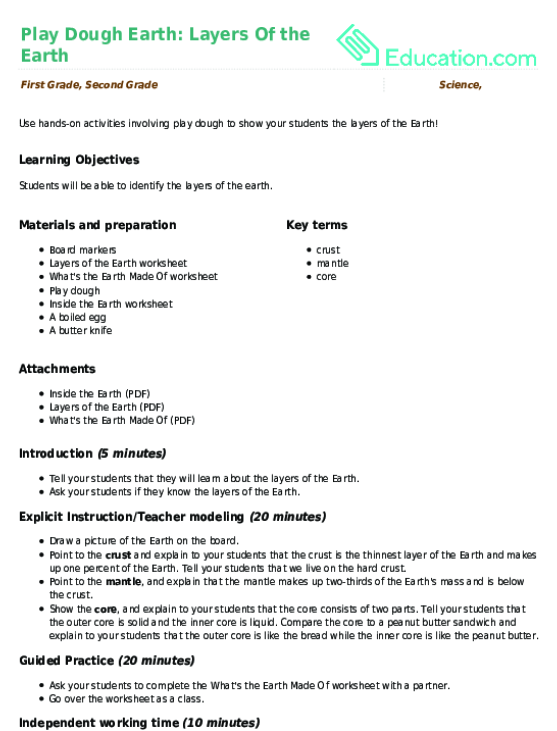 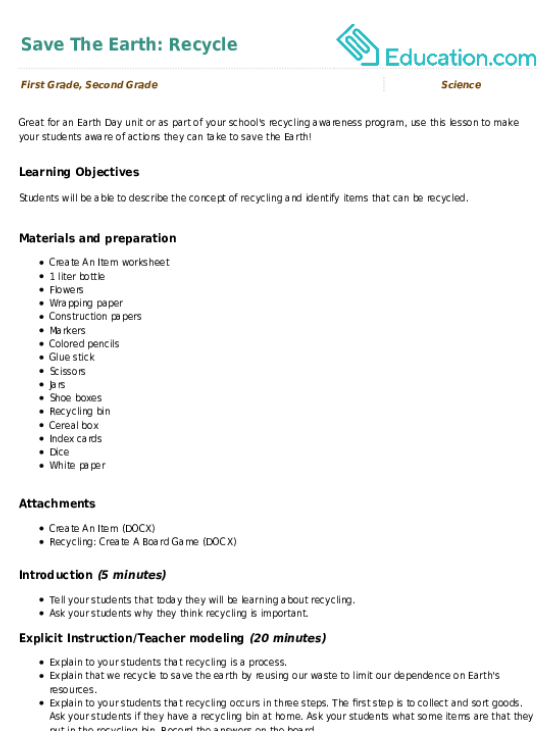 Create a earth layer book, cake, or clay diagram.